If cooking is important to you, then you want to be sure that you have an exceptional place to make your food. best gas ranges are going to provide you with the quality and reliability that you deserve, which is why they can be such a fantastic addition to your kitchen. Today we’re going to look at some of gas range models and see which one will be right for your needs. With a high-quality range, you can transform your cooking area and turn it into a restaurant-quality space that can create some of the best meals you’ve ever had. Let’s see what the Top gas ranges have to offer. 4.1 Do I need a hood for my range? 4.2 Why do most gas ranges have different burner temps? 4.3 Is convection cooking better than standard? 4.4 Why do I need sealed burners? 4.5 How many BTUs are best? 4.6 Is it worth it to g​​​​et a self-cleaning oven? 4.7 What is the bottom drawer for? Looking at Thor Kitchen range reviews, this model is high quality and well rated. As the name suggests, it is a professional-style gas range, meaning that it’s like putting a restaurant in your home. The size of this model is superb for smaller kitchens. It’s one of the best 30-inch professional gas ranges, and it can fit into almost any space without much difficulty. Considering that some ranges can be massive and cumbersome, this delivers the same level of quality without the burden. This unit comes with four burners. Each one is covered in a heavy-duty cast iron rack, which ensures that you can cook on them for years to come. What we like most about these burners is that they vary in heat output, which allows you to customize your cooking methods. The hottest burner can produce up to 18,000 BTUs, which is perfect for searing meats and boiling water. The next one is 15,000 BTUs, which will work for a variety of dishes, particularly because it comes with a simmer setting as well. Finally, the last two burners are 12,000 BTUs. The other neat thing about these burners is that they use electronic ignition for safety. This way, you don’t have to worry about keeping a lighter or matches handy to get the stove to work. Also, they have a re-ignition option in case you accidentally turn the wrong one off. Overall, we think that this is one of the best 30-inch gas ranges for the money, and another part of that value comes from the convection oven. This method of cooking is so efficient and reliable that it ensures you get the best results, no matter what’s inside. The oven itself can generate up to 22,000 BTUs, which makes it ideal for baking, broiling, and warming. To make it even better, there is a fan switch on the side so that you can use it as a standard model when necessary. The size of the oven is also fantastic, with 4.2 cubic feet of space inside. This will enable you to cook multiple dishes at once, which is perfect for both family dinners and holiday feasts. The stainless steel finish of this gas range is easy to clean and will stay in pristine shape for years to come. Also, it includes a two-year limited warranty on parts and labor, which should provide you peace of mind. It may seem a bit odd to see Samsung in a list of stainless steel gas range reviews, but the fact is that the company makes a high-quality appliance that will instantly upgrade your Kitchen stove. As the best slide-in gas range with five burners, it delivers better cooking options and a wider range of capabilities. First of all :- let’s talk about the oven on this range. We already like convection cooking, thanks to its rapid heating process and reliable finishes. However, many convection ovens are not that efficient because they seem to be retrofitted with a fan to help blow the air around. With this range, however, it was built with convection in mind. It utilizes three high-powered fans to ensure that the heat distribution is as even as possible. No longer will you have to worry about cold spots in your food. Because this range is made by Samsung, you can expect a certain level of high-technology to go along with it. In this case, you get an integrated digital control panel that allows you to manage your oven more easily, as well as use preset cooking options to make your life easier. When looking at Samsung gas range reviews, people love the five-burner setup on the stove. The reason that they are so popular is that you get a wider variety of cooking options. There is a dual burner in the middle that can produce up to 18,000 BTUs, making it an ideal choice for cooking meats or boiling water. The other burners deliver 15,000, 5,000, and 9,500 (x2) BTUs, so you have a lot of choices when figuring out which one to use for your various dishes. The size and versatility of this stove allow you to cook all kinds of foods simultaneously. When you use the 5.8-cubic ft oven, you can prepare a feast for a crowd without any problems. Are you familiar with slide-in gas ranges? If not, then the term refers to the ease with which you can install this appliance in your kitchen. Rather than having to worry about mounting hardware or complicated procedures, this range slides in and hooks up to your gas for a smoother transition. The only downside is that you have to have a hood already in place before you can use this range. When picking out the best gas range, brand names can have a significant impact on the decision-making process. Compared to other companies, Kenmore has an incredible reputation for making some of the best appliances on the market. Reading Kenmore gas range reviews shows that this unit is both reliable and convenient. What’s unique about this range is that it's free standing. This means that you don’t have to install it like most ovens, which usually means ensconced in-between counter-tops and cabinets. As long as you have sufficient ventilation, you can put this range almost anywhere. To make the installation process even smoother, Kenmore includes delivery and setup with the price. 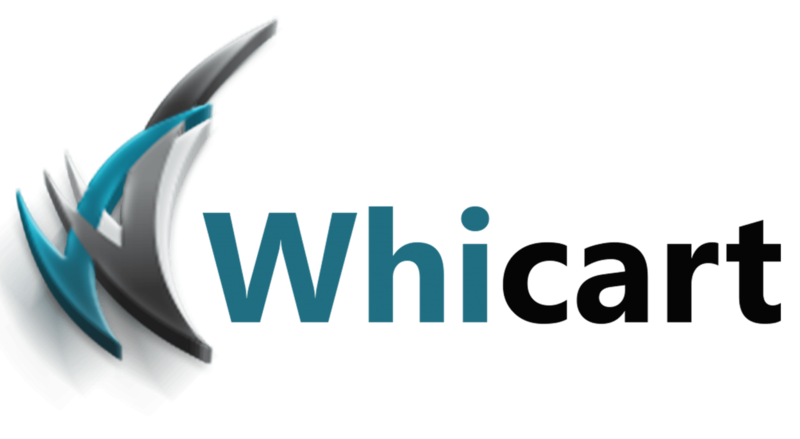 Rather than paying extra for the privilege of having professionals take care of your new appliance, you can get the added service for free. When it comes to performance, this model is not quite as powerful as others that we’ve seen. Nonetheless, it offers incredible versatility, and it will be perfect for most households. Unless you have to make professional-quality dishes on a regular basis, the heat output for this range is more than sufficient. Like other units we’ve seen, this stove has five burners. There is an elongated one in the middle and two on each side. The largest produces up to 14,200 BTUs of heat, and you get one 10,000 BTU burner and three 5,000 units as well. Overall, you can make all kinds of dishes without having any problems. Also, each burner is sealed to provide extra efficiency and safety. The oven on this range is also incredible. It has 4.2 cubic feet of space, and it comes with two oven racks so that you can make multiple dishes at once. Although this model is not convection, it still offers enough power and heat to ensure that everything cooks appropriately. We also appreciate the larger front window so that you can pay attention to your dishes without having to lose heat from opening the door. One unique feature of this range is the Broil and Serve drawer on the bottom. All ovens have a heating rack below the main unit, but this one is specially designed to give you more freedom when cooking a variety of dishes. The drawer traps more heat to make the whole thing more efficient and reliable. Finally, this gas range offers a digital control panel on top. It has an LED display to show you the time, as well as your oven temperature. Program the heat level with a push of a button, and switch from bake to broil just as easily. There is also a timer built-in so that you don’t have to worry about forgetting your food. Overall, when looking at Kenmore gas range reviews, it’s easy to see why this is a winner. When looking at stainless steel gas ranges, you will want to decide if you prefer to have a manual or an electronic control panel for your oven. With convection-style models, it is usually better to have the latter because it offers more control over your cooking. Since most people are not used to convection heating, this precision will ensure that you don’t burn your dishes. Looking at Bosch gas range reviews, this model is better than most. One of the reasons for that is the high-tech digital control panel on the front. It’s similar to the one offered by Samsung, although it comes with more preset cooking options for your convenience. Also, it gives you conversion rates for convection cooking so that you don’t have to look them up. Before we get into the cooking features of the Bosch HGI8054UC, we want to highlight the fact that it’s coated with a pyrolytic self-cleaning material. This substance is remarkable because it allows you to crank the oven to 500 degrees and turn everything, from splatter to caked-on food, to ash. Then, simply wipe it off, sweep it up, and your oven is ready to go. More than anything else, we think that that’s a fantastic bonus. As far as the rest of the oven is concerned, it provides 4.6 cubic feet of space, it has a large viewing window for your convenience, and it can heat your food more rapidly than most. Another unique offering is the warming tray, which has three temperature settings, allowing you more control over your dishes. The burners on top are fairly standard for a gas range. You get five of them, and the large middle one delivers up to 18,000 BTUs. You can boil a pot of water in just a few minutes with that kind of heat. They aren’t sealed, but they do offer plenty of power and reliability. Finally, this burner range is a best slide in gas ranges model, so installation is going to be a breeze. Don’t worry about remodeling your kitchen to get this in place and working. So far, we’ve seen the best-rated gas ranges that deliver exceptional performance and expert precision. When looking through Frigidaire gas range reviews, this model is best suited for casual cooking, rather than professional-style results. Overall, this is an excellent range, but it’s just not quite at the level of some of the more high-end models we’ve seen. Starting from the top, this range has an extensive digital control panel. From here, you can set a timer, adjust the oven temperature, and even utilize the appliance’s self-cleaning system. We hate scrubbing our ovens by hand, so having this option is a beautiful thing. Moving down, we come to the range’s gas cooktop. As with most other units out there, you get five burners. A double-barrel version in the middle, and two standard burners on each side. The center delivers 17,000 BTUs, while the others offer 14,000, 9,5000, and 5,000 BTUs. This versatility ensures that you can cook almost anything without running into trouble. One neat feature of the burners is that they are all touching, and there are no bumps in between them, either. This allows you to slide pots and pans across them as needed, making the process smoother and safer. Moving down to the oven, this range offers a convection cooking option. However, unlike higher rated models, this one can be a little messy as far as precise temperatures. We suggest that you play around with it at first to figure out if it’s off, and by how much. The oven delivers 18,000 BTUs of heat, and it offers five cubic feet of space. It has a large viewing window for monitoring your food, and it comes with two oven racks for extra convenience. The inside is well coated to make cleaning a breeze, should you decide to do it by hand. Finally, the stainless steel on this range is rated as smudge-proof, so don’t worry about leaving fingerprints or other marks on it. Maintaining this appliance is simple and easy. When talking about the size of the top gas ranges, there are a few elements to consider. First and foremost, you have to be sure that the whole unit will be able to fit into your kitchen. If you’re replacing an old range or oven setup, then you have to buy an identical model so that you don’t have to do any renovation to get it in. The other thing to consider with regard to the size of the range is the oven. Ovens are rated by cubic feet, and more extensive models will make it easier to cook multiple dishes at once. If you plan on hosting parties or you love to make all kinds of food, then you might want to get a range with a bigger oven capacity. British Thermal Units are used to identify how hot something can get. For the most part, when talking about cooking, you want something that has as many BTUs as you can get. The reason I say that more is better is that you can quickly adjust the heat level by turning the knob. A good way to think about it is that you can always make the flame lower, but you can’t make it hotter than what it’s rated to do. Having a higher BTU rating does mean that you can use more gas overall, but it will also make your cooking much more efficient. If you have to boil water, for example, a burner with 18,000 BTUs is going to get there a lot faster than one that just has 12,000. Even though you’ll be cooking with gas and a flame, that doesn’t mean you can’t incorporate some high technology into your range. Many new models come with a digital control panel that enables you to get more precise settings and cook more accurately. In some cases, the panel will allow you to utilize preset cooking options based on the kind of dish you’re preparing. This will make the process much easier and more simplified, meaning that you don’t have to worry about overcooking your food. If you get a convection style oven (more on that in a minute), then having presets will be necessary until you get used to this method. Otherwise, you might wind up with some burnt edges. Anything beyond these features will only add more value to the range and make your life much more comfortable. Most people are used to sticking something in the oven and turning it manually throughout the cooking process to ensure that all sides are heated evenly. If you don’t, then one side will be more cooked than the other, which could result in some less-than-appetizing meals. Convection cooking, however, doesn’t require any extra assistance. The reason for this is that it uses fans to blow the hot air around your food. No longer will you have to turn your pot or pan around halfway through. Now, you can simply set the timer and forget it until it goes off. The other benefit of convection cooking is that it takes much less time to prepare your dishes. Since the hot air is circulating, it envelops the food faster and helps it get to the proper temperature much more efficiently. As I mentioned, you may have to get used to the shorter cook times as you can’t rely on standard recipes. For example, if the recipe says you have to broil for two hours, it may only take one hour and 40 minutes instead. Leaving it in for the full time could cause it to burn. Although convection cooking is more efficient than using a standard oven, there are a couple of drawbacks. First, ranges that come with this method are usually more expensive. Second, the fans can be quite loud, which can be annoying if you’re not used to them. One thing that the gas ranges reviews have in common is that they offer a variety of different burners. By this, I mean that they are rated at various BTU levels, and some of them are larger than the others. If you’re used to a standard stovetop where everything matches, you may be wondering why this happens. The reason is so that you can prepare a variety of dishes at the same time without the risk of overcooking anything. Also, the different sizes of the burners have a purpose as well. Usually, there is a longer burner in the middle that allows you to use a griddle without losing any heat in the middle. Also, this central burner often has the most BTUs for this reason as well. When picking out a gas range, pay attention to the various ratings and choose a model that offers the best bang for your buck. Do I need a hood for my range? The short answer to this is yes. 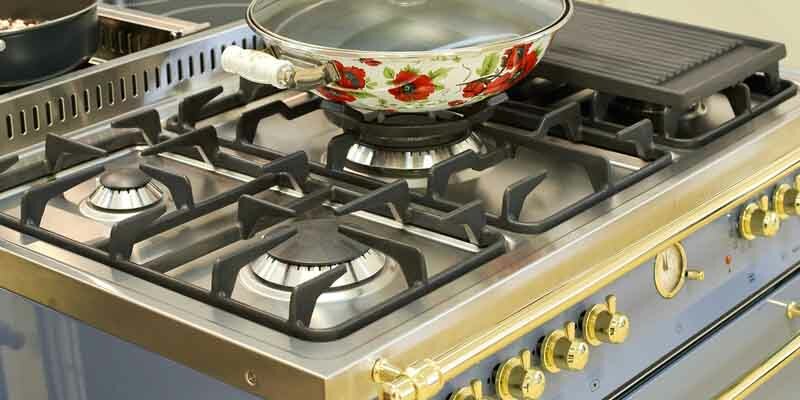 Because most gas ranges come with a stove top, that means that you have to be able to remove all of the excess heat from your kitchen while cooking. If you didn’t have a hood, then it could make the cooking process unbearable. You will be sweating the whole time, and it could wind up setting off your smoke detectors. The other thing to remember is that when you’re boiling water, a hood ensures that the steam won’t cause any damage to your cabinets. Steam can cause wood to warp and expand, and then it will be harder to keep them shut. Why do most gas ranges have different burner temps? I touched on this a little already, but the primary purpose is to allow you to cook a variety of dishes simultaneously. For example, you could be grilling meat on one side while boiling water on the other. By having different BTU ratings, you can customize your cooking methods without any risk of burning anything. It can take a little while to get the hang of it, but it offers a professional level of control overall. Is convection cooking better than standard? I really like convection cooking, so I would highly recommend it if you aren’t on a budget. I know that these ovens are more expensive, but they are well worth the price. That being said, I also love to cook, so I am using my oven all of the time. If you aren’t using it that often, then it might not be worth it to invest in such an upgrade. Also, I will let you know that it takes a while to get used to the fans. Some high-end models have sound dampeners to lower the noise, but it’s noticeable no matter what. Just pay attention to the decibel levels and see if it’s going to be an issue for you. Why do I need sealed burners? One feature you may have noticed with the Bettie gas ranges is that they have “sealed burners.” This means that any drippings that come down onto the stove-top will not leak into the oven below. If your burners were not sealed (i.e., open), then any sauce or grease could create a mess that you will have to clean up. Even worse, if drippings happen while you’re cooking something, it could ruin the dish altogether. How many BTUs are best? I can’t say that a particular number is any better than another, only that more is always ideal. For the most part, you can get burners that generate up to 18,000 BTUs, but I would say that you want at least 15K. There is a noticeable difference between the two, especially when boiling water, but I wouldn’t say that it’s a deal breaker. Is it worth it to g​​​​et a self-cleaning oven? Like with convection cooking, having this feature is going to make your life so much easier. I hate scrubbing my oven, so having a self-cleaning model is a godsend. That being said, I still have to do a deep cleaning every so often, but it’s much less frequent than it would be without this bonus feature. Also, as with convection cooking, if you don’t use your oven that much, it might not be worth the added expense. However, if the thought of cleaning it makes you stress out, then it can still be a viable option. What is the bottom drawer for? You would be surprised by how many people don’t know about this part of the oven. Usually, it’s a warming tray that ensures that your pre-cooked dishes don’t cool down. I use my warming tray all the time for parties and get-together s, but you may not need it. Some of gas ranges may also provide controls for this section of the oven, essentially turning it into a double oven model. If you really want some extra functionality, then you might want to consider upgrading so that you can use the tray more often. Because we looked at the best gas ranges, all of these models are sure to offer excellent cooking solutions for you and your family. However, if you want to get the best features and most convenience, then we have to say that the Samsung Range is our top pick. We like the merging of technology and traditional cooking methods, which is why this range is so great for most households. However, if you aren’t wowed by the high-tech wizardry, you may want to get something like the Kenmore 73433 instead. Both of these ranges have the best features and benefits, and we highly recommend them to anyone who loves to cook. I’ve been browsing online more than three hours today, yet I never found any interesting article like yours. It?s pretty worth enough for me. In my opinion, if all webmasters and bloggers made good content as you did, the web will be much more useful than ever before.